If you’ve been following us closely for a while now, you will know that every month since December 2018, I’ve had an IG Live Q&A session. I love interviewing people and learning from them and having this IG Live has been a great way for wider KT audience to join in and ask questions. So far, we’ve had 4 awesome sessions and I seem to enjoy these more with each passing one. The only downside is that the Live sessions are available for just 24 hours replay replay then it’s gone! To curb that a bit, I’ll attempt to recap each session and sharing 5 things you should know. Our last session was with Dami Ajibade who is the Co-Founder of Crownbury —makers of organic baby essentials. They started out with their Koala baby towel as their first product and have recently created their reusable nursing pads. I’ve loved the towel so much—spoke about it in my post here and generally followed the impressive growth of Crownbury. Dami dropped amazing nuggets in this Live session. This piece can’t do it justice but here are five things you should know about starting a product business. Many businesses today are often co-founded in order to leverage skills and resources. Dami explained how she approached her sister-in-law to start the business with her and thus take advantage of her risk taking appetite and general resilience. However despite the friendship and family relationship between them, Dami noted that businesses should not be run on trust as things could turn sour at any point. She noted that they had set up a company with proper documentation and also created different classes of shares to ensure that payment of dividends are effective especially as both founders put in varying levels of work and commitment (this is what I do for my day job, so it was good to hear her talk about it!). So what should you know? Makes sure you have your documentation in order - with co-founders, suppliers, customers etc. Do not leave your legals to the back burner. It could make or break the business. This is the crux of the business and Dami left us with so much information. Most products she noted, are made in China and so Alibaba remains an excellent resource to find your suppliers. She emphasised dealing with suppliers who had high rankings, requesting a prototype, finding a low Minimum Order Quantity (MOQ) and generally being clear as to the kind of products you want. She noted that if you could meet with your suppliers in person that would be fantastic—so book that trip to China! However, to ensure you’re always getting the best out of your suppliers, you must not rest on your oars or make them feel indispensable. Because what happen if they suddenly raise their prices or go out of business - your entire business collapses? You should constantly check out competitor suppliers, and request quotes from them as well. If you’ll be selling on Amazon - which many business take advantage of, you should utilise the market research tools like Jungle Scout, FBA Wizard and Helium 10 to determine what products are likely to perform better. Using a practical example, she shared that the results of her research showed that the nursing pads were likely to perform better than the towels, but she went ahead to create the towels first. Turns out the research was right. When she finally created the nursing pads they literally flew off the shelves with very little marketing! Dami emphasized the need to be realistic on this. As with many new business owners, she imagined that once she created this amazing product, people would come flocking - at the very least, her family and friends. But nope, no one bought anything! And so she had to put the product out there using Amazon ads and other forms of digital marketing. She also turned to social media influencers sending them the products in exchange for their reviews and showcasing it to their audience. For her, this proved to be a cheaper means of marketing as the real cost was the value of the product. And slowly but surely, with additional reviews on Amazon, the orders rolled in. Recently, she’s also explored physical product fairs and exhibited at the London Excel Baby Show. For your distribution and marketing, be flexible. On whether Crownbury will explore traditional brick & mortar stores remain as an online business, Dami noted it was uncertain as physical stores came with higher overheads and more logistics. The next stop was possibly to retail in existing baby product chains and see the results. So if your business can be run online successfully, why bother with physical stores? On funding, she noted that seed capital was primarily from her day job and 9-5. So yes, you should know that your 9-5 can fund your product business dreams. There’s a lot of clamour to quit your day job and build a business. Except you’ve secured investment or have a trust fund, don’t be swayed. Keep your day job and maximise it to the fullest. She also highlighted the need to reinvest in the business and noted that all of their profits had been re-invested. As the saying goes “the day you plant the seeds is not the day you eat the fruit”. Don’t be in a hurry to cash out - grow the business and re-invest. On what is an acceptable profit margin, she advised that it’s pretty much up to you to decide. But two things to factor in - first is the selling price for competitor products and second is your additional expenses. So your markup shouldn’t be against just the cost of production, but also include hidden costs like customs and taxes. Finally if there’s one nugget we all took away, it’s get insurance for your products! Sadly she learned this the hard way after her shipment was lost. Get insurance. Dami shared what might be a bit of an unpopular opinion, but it’s definitely sensible. She mentioned that way too many start up businesses focus and spend too much on branding and logos. According to her, it shouldn’t be that much of a herculean task. She explained how she simply went on to Fiverr, and engaged someone to create a logo and brand identity. She has since stuck with that, and it works! On branding and identity colours, in her opinion, if you stick with the pastel colour scheme, you’re unlikely to go wrong! 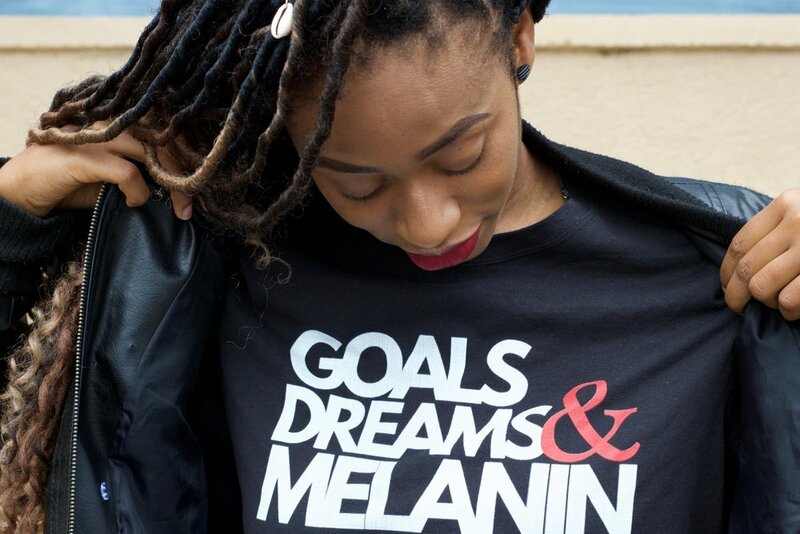 On target customers, Dami explained their preference to keep the target audience neutral and not engage with the popular rhetoric of being a “black owned business”. While this may work for other businesses she emphasized that she wanted to appeal to other demographics who in many cases will be interested in the products they had to offer. This is definitely one area to consider to ensure you’re not limiting your target customers. There’s so much more she shared, but these 5 will do for now. Make sure you catch the next Live session. It will be over on my Instagram: @kacheetee. Are you following yet?